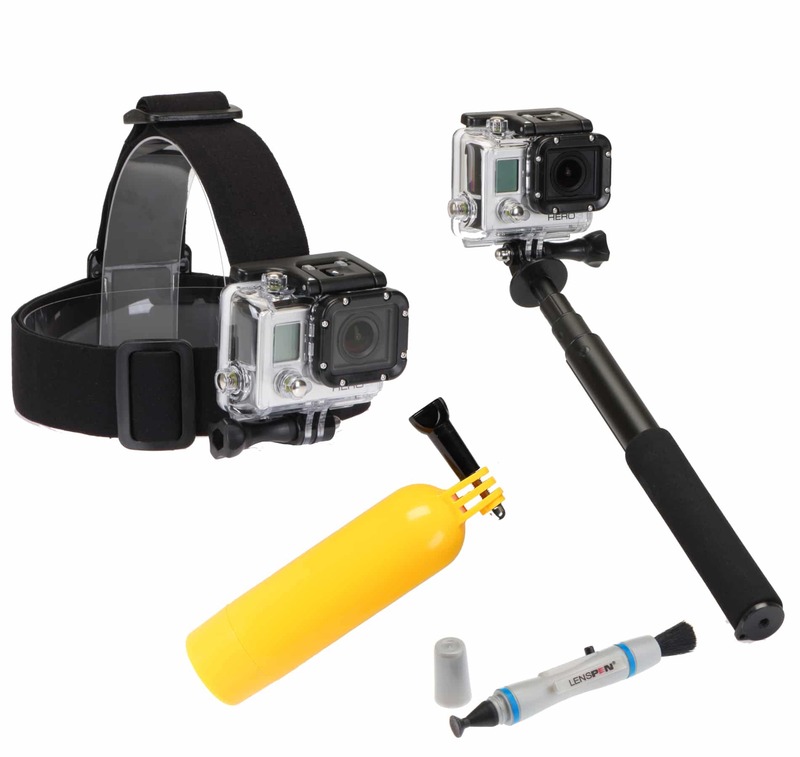 The Sunpak 4pc Action Camera Kit contains everything you need to take great action videos with your GoPro camera. The 4pc Action Kit contains accessories for practically every type of activity in order for you to get the perfect photo or video. The kit comes with a Head Mount, SelfieWand, Floating Hand Grip and a LensPen Lens Cleaner. The Head Mount is used to capture all of the action from your vantage point. The SelfieWand makes it easy for you to be part of the action. The SelfieWand can extend up to 28” and folds down to just 9” and also comes with a standard ¼”-20 adapter for Point & Shoot cameras, mini camcorders or other action camera that accepts a standard ¼”-20 threaded screw. The Floating Hand Grip prevents your GoPro from sinking when placed in water, and the LensPen Lens Cleaner is the easy and safe way to always keep your GoPro lens clean. The kit also comes with a convenient storage pouch to carry all of your accessories. Weight: Head Mount: 3.2 oz. Floating Hand Grip: 2.2 oz. LensPen Lens Cleaner: 0.3 oz. SelfieWand: 9” H x 1” W x 1” D.